Born: February 21, 1857 in Sandwich Ma. Died: March 3, 1883 in Falmouth Ma, at 26 yrs. To: Frances/Fannie L. Baker; (1865 – 1952) (Lewis Almon Baker & Emily W. Mecarta); Frances/Fannie married (2) Frederick Howard Burgess (1865 – 1937) (Edmund C. Burgess & Betsey W. Ellis) on Abt.1886; Frances/Fannie & Frederick are buried together in Pocasset Cemetery. 1. 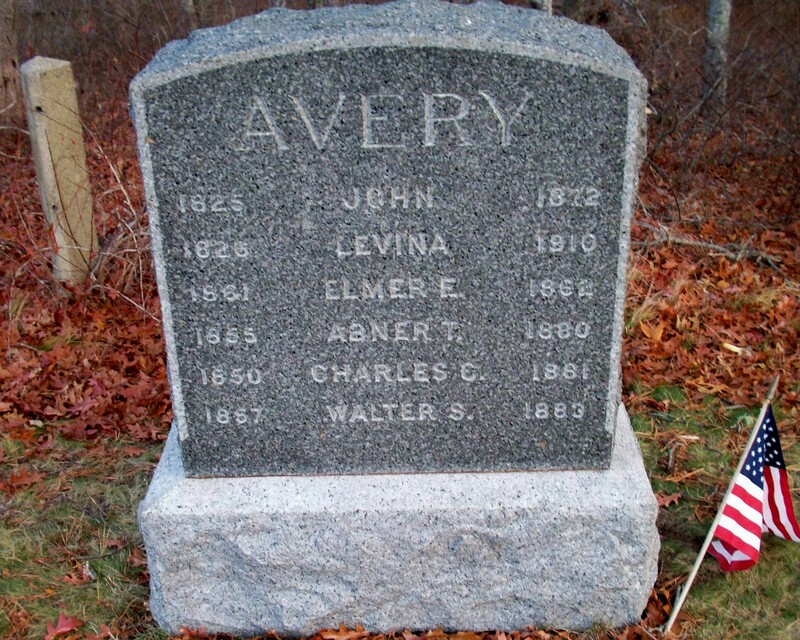 George Taylor Avery; (December 18, 1881 – March 15, 1970); Married (1) Sylvia Alma Gibbs (1883 – 1968) (Phineas Gibbs, Jr. & Emma Corey Crowell) in Cataumet Ma. on December 27, 1903; They were divorced; Sylvia married (2) Leslie Blossom Rogers (1882 – ?) (Zemira B. Rogers & Melissa P. Small) in Brockton Ma. on November 29, 1911 & married (3) Sanford Edward Alger (1878 – 1957) (Charles Sanford Alger & Ellen F. Dunbar) prob. in Brockton Ma. ; Sanford married (1) Jennie May Jackson (1880 – 1944) (Charles Henry Jackson & Helen L. Whiting) in Brockton Ma. on November 5, 1900; Sylvia had no children from her 3 marriages; George married (2) Anna R. Schneider (1885 – 1954) (Robert A. Schneider & Margaret Kegal) in Pocasset Ma. 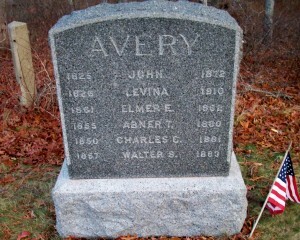 on June 16, 1914; They had 3 children; George & Anna are buried in Pocasset Cemetery.